The catch is, you can only buy one thing with it and it’s got to be a palette. Look at those beautiful cool tones! I’m not saying that I’m wishing Autumn/Winter upon us… but if I had this palette, it would make the inevitable seasonal shift much easier to bear! Anyone else fancy a bit of virtual Sephora Sweep – link me up! I haven’t done any palette research for a while but if we are going on “anything with the £60” then Illamasqua blushes FTW. I am eagerly anticipating the Bobbi Brown Denim and Rose pallet. Because it’s made of actual denim, and also it looks really pretty. The Metier de Beaute Hypnotique Kaleidoscope. I think it works out at about £60. Yes please! Honestly I’d go with Inglot custome palettes but if I’d have to choose ready-made palette then I’d get Dior’s Haute Couture eyeshadow palette. I would probably buy the too faced fun in the dark palette and the natural smoke one from sephora. Edward Bess Brown trio (can’t remember the name!) or make up my own mac one with atlantic blue, satin taupe, juxt and stars n rockets! I think I’d have to choose the Guerlain palette for Fall in either Francs or Vendome, both are so stunningly beautiful! 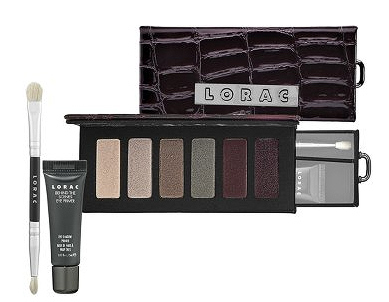 Ahhh that Lorac pallete is calling to me. Ever since I picked up 3 mono shadows from Hautelook awhile back I’ve been meaning to get more! Their shadows are sooooo fantastic! Is the UD Naked palette out in the UK yet? I’m more interested in the Vegan palette, but would also check the Naked palette out if I saw it. I do it at Boden too. I posted about my new love yesterday. I’d buy Le Metier de Beaute’s Kaleidoscope in Violaceous Splendour (£55 from Liberty) without hesitation. The £5 would be eaten up with postage from Liberty or go towards my train fare ;). Winter Warmers: The ultimate Cold Weather Fragrances!